This 2017 HTPC build is more powerful and more expensive than our low power HTPC-NAS combo build 2016. We want it to have the media playback and streaming capabilities of software solutions like Kodi, but also be powerful enough to handle gaming. Generally speaking a good gaming system can set you back a small fortune, but here I have identified components that will allow you to play any PC game that 2017 throws at us without breaking the bank. This build is also one of the best home server build 2017 solutions for Plex and offers NAS storage. For this build I specify the core components required with the exception of the power supply. 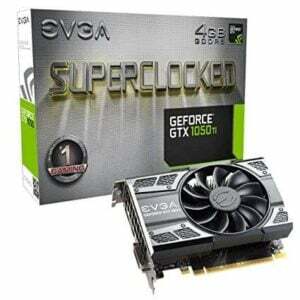 For the components I have selected I recommend the EVGA 600W B1. This will provide more than enough power and room for expansion. For this Kodi, Plex, and Gaming HTPC case we have two considerations to make: components and look. We want to build a media center to do it all and for that we are going to need to allow for performance components. For gaming we need to allow for full height PCI-E graphics cards and a full size ATX form factor motherboard. We also want the best home server build that can store and stream. This means additional capacity for hard disks later down the line. The second consideration is the look of the case. 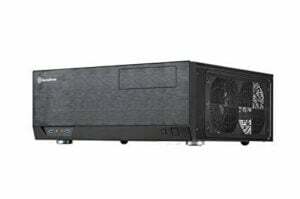 A top home theater PC will have a modern amp style look that will sit nicely under our living room TV sets. To achieve both of these goals we have selected the Silverstone Technology Grandia Series ATX case. Silverstone is renowned for creating the best looking affordable HTPC cases in a range of designs and sizes. The Grandia Series ATX comes in black with an aluminium finish. It offers our ATX form factor and yet is quite compact in design. The case is perfect for our best home server build 2017. PSU is sold separately. For or our HTPC Server build CPU we are going to opt for AMD architecture. 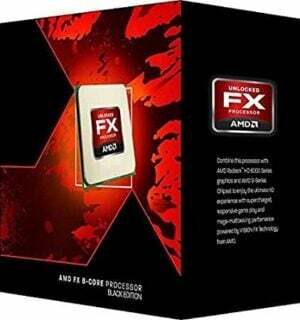 An AMD CPU will comfortably run Windows, Kodi, Plex and all of the leading PC game titles. Generally speaking with AMD CPUs you get a higher level of performance for your money than with it's Intel cousins. AMD has not achieved the low wattage levels that the new Intel CPUs boast but can certainly give you performance. For this 2017 media and gaming build we will take the AMD FX8320 as our main processor. The AMD FX8320 CPU is a great CPU to be used in a Plex media server. When streaming media content to none desktop devices such as mobiles and tablets Plex uses a process called transcoding to encode the media file into a format suitable for the client device. With the FX8320 we will be able to achieve 4x simultaneous streams (PassMark: 8015) of the same media file to different client devices in 1080p resolutions or 5x 720p. In my opinion the motherboard is one of the most crucial components in any gaming machine and something that is often overlooked. Sure, the CPUs and graphics cards produce your power but the motherboard houses all of your components and can offer a higher volume of enhancements. 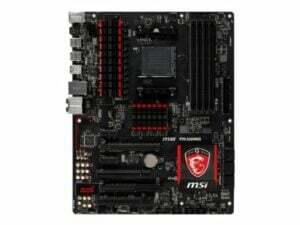 For this high-end HTPC 2017 I have selected the MSI 970 Gaming motherboard. It is built for the true gaming enthusiast. The motherboard is of ATX form factor and supports any CPU in the AMD AM3+ range. It utilizes DDR3 memory of speeds of up to 2133MHz. With maximum memory capabilities of up to 32GB, you can install more than enough RAM to handle the latest PC games. The MSI 970 is branded a gaming motherboard due to its top gaming enhancements. These will give you an edge over opponents and enhance your online experience. With this board everything has been considered from graphics chipsets to peripherals. Although not covered in this build, the motherboard fully supports dual graphics card technologies and is optimized for AMD Crossfire. This is a feature you can add to your system later down the line. The motherboard offers a top on-board sound solution using the Audio Boost 2 by Creative. Creative have led the way in PC sound technology for so long and it is so surprising that few motherboard manufactures use them for on-board sound solutions. The on-board NIC provides E220 Intelligent networking. This allows you to prioritize certain traffic types such as gaming or streaming for unrivalled online performance. Ultimate RAM Disk technology allows you to allocate an area of system memory for gaming storage. The allows for a faster file execution than the latest SSD disks. And finally the Gaming Device Port. This provides a higher level of responsiveness and efficiency for the latest gaming mice and keyboards. The MSI 970 AMD Gaming motherboard has gaming consideration in every aspect of the device and perfect for a high performance HTPC. The graphics card is possibly the most difficult choice to make for our 2017 home theater PC build. The truth is you can spend a small fortune on a performance graphics card and they all make different claims. My advice is to choose a card that will play all of the latest PC game titles for the next 12 months at least. The chances are that it will last you far longer than this estimation but you will pay less than half the amount of the leading graphics cards. For this media and gaming HTPC I have selected the EVGA GeForce GTX 1050 Ti Gaming Graphics card for our home server build 2017. The EVGA GeForce cards have been a great range of graphics devices over the years and the GTX 1050 Ti is no exception. It will play all modern PC titles in resolutions of 1080p in full 60 FPS. It has a base clock rate of 1354MHz which can be boosted to 1468MHz if required. There are two versions of this graphics card and we are taking the 4GB GDDR5. This will give our HTPC additional GPU memory and for the small price difference is well worth the extra expense. The GeForce GTX 1050 Ti is fully DX12 compatible and supports NVIDIA's gaming technologies GameStream, G-Sync, and GeForce Experience. This graphics solution will make our HTPC / home server build 2017 perfect for Kodi, Plex and the latest PC game titles. The principles of buying memory is similar to that of your graphics card. You want to buy ample memory to run everything your system is intended for and yet not go overboard. The annual fall in memory prices means that it is better to buy just enough now and upgrade later rather than going all out. 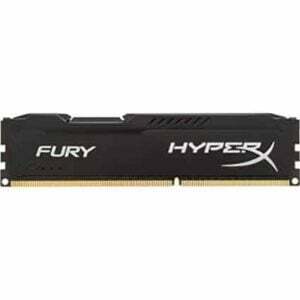 For this home media server build 2017 we will be using Kingston HyperX FURY 8GB DDR3. We have chosen HyperX FURY both for its performance, reliability and look. The memory operates at a speed of 1866MHz which is the second highest speed in the DDR3 range. This speed and the total of 8GB on offer gives us all of the performance we need for the latest PC game titles. The memory comes in as a single DIMM leaving you with ample space for upgrade later down the line. Not that it is a huge factor but the memory comes in black and perfectly matches our chosen motherboard. So, HyperX Fury is our chosen memory for our 2017 HTPC, NAS, Gaming combo build. Ensure that you select the DDR3 version as this memory is also available in DDR4. When it comes to the operating system hard drive we are opting for speed over storage capacity. As a separate SATA drive for media storage is part of this home theater PC build 2017, this drive will be solely for the OS and media center application. We want the best possible file executing speeds and system boot times and enough space to install the OS, Kodi and Plex. For this we choose the SanDisk SSD Plus 120GB. The SanDisk SSD Plus 120GB offers sequential read times of 520MB/s and write times of 180MB/s. The main performance improvement you will notice with this drive is your boot time. Your system will be ready to play music, stream a movie or launch a game in around 10 seconds! If you want the HTPC, you will want a solid state drive that will last and the SanDisk SSD Plus series are built for endurance. The software that accompanies these drives helps you manage the performance and efficiency of your device in a standard Windows application. You can see real-time stats and tweak certain elements of its configuration. It also allows for automatic firmware updates. 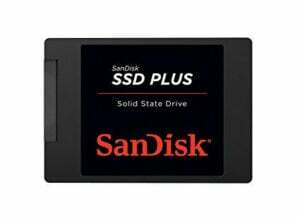 I have chosen the SanDisk SSD Plus 120GB drive for our home server build 2017 as it will give the speed we want and at a great price. Next we need a storage solution for our media content. Our best home theater PC solution will also act as a NAS (network attached storage) for other devices on our home network. For this we want a drive that will provide a high level of storage capacity. Speed is not as important because our solid state operating system drive will give us the boot times and navigation speeds we are looking for. 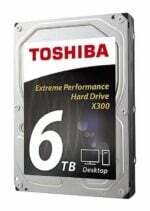 My chosen hard drive is the Toshiba X300 6TB SATA hard drive. So you have now built the best home theater PC but you are going to need something to control it, particularly if it is to be used for gaming. PC game controllers are a little hit and miss. They look great on the online store images but when you get them in your hand they tend to feel cheap, unresponsive and with extremely low build quality. We recommend that you use and XBOX 360 wireless controller with the XBOX 360 Wireless Gaming Receiver. And there you have it. Our best HTPC / home server build 2017 that does it all. With this solution you can enjoy the media center capabilities of Kodi, the streaming functionality of Plex, and have the performance required to take on the latest PC game titles. Best of all the solution can be put together for around $800! 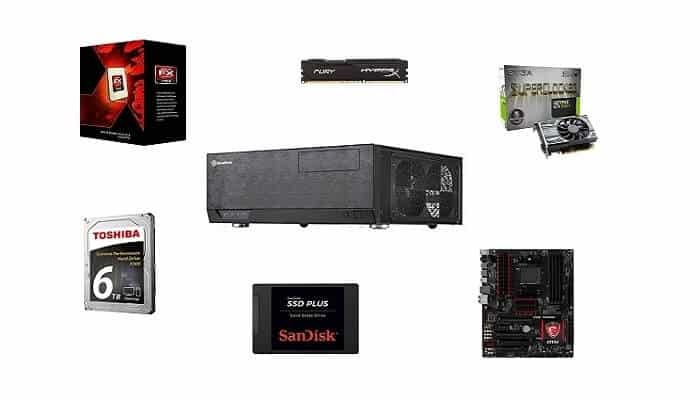 This best home theater PC build really hits the sweet spot in the price vs performance battle and leaves you with plenty of room for expansion later down the line. This build will run all high end games and all of your media files including 4K video streaming.